In its recent strategy on intellectual property (IP) enforcement in third countries, the Commission went beyond discussing IP enforcement issues, and also outlined the cornerstones in its approach to access to medicines and EU trade. HAI and MSF commend the Commission for explicitly recognising the need to address access to affordable, safe and effective medicines. However, looking at the Commission’s current access to medicines commitments in more detail, these have proven to be empty words and gestures, contradicted and undermined by a long history of including substantive damaging TRIPS-plus provisions in EU free trade agreements, and other damaging EU trade policies. 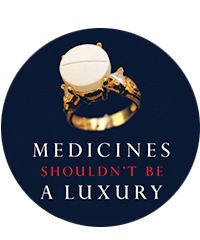 This report identifies the contradiction between the Commission’s stated commitments to ensure access to medicines and the EU’s trade policy. It also provides a series of recommendations that would enable the Commission and EU to achieve its access to medicines commitments and broader development and public health objectives.